Charles Burcham is a shareholder in the firm’s Reno office. A graduate of the University of Washington Law School, Mr. Burcham joined the firm in 1985 and together with Stephen Balkenbush, established the firm’s Northern office in 1987. Since then, Mr. Burcham has maintained an active practice focusing on civil litigation and, more recently, alternative dispute resolution. Mr. Burcham’s litigation practice has included numerous jury trials in personal injury and commercial cases. 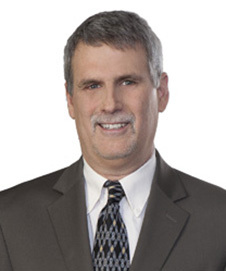 Although Mr. Burcham’s litigation practice has been primarily defense oriented, he has also successfully handled several complex plaintiffs matters, including those involving contract and real estate disputes and personal injuries. Additionally, Mr. Burcham has successfully handled numerous appellate cases involving insurance disputes, products liability cases, claims for punitive damages, to name a few. Mr Burcham has maintained an AV “preeminent” Martindale Hubbell rating for many years. Currently, Mr. Burcham is focusing on alternative dispute resolution in addition to maintaining his litigation practice. He has attended courses at Pepperdine University’s Strauss Institute of Dispute Resolution, and is a frequent speaker at CLE seminars focusing on arbitrations and mediations. Mr. Burcham has also acted as special master and mediator in numerous residential and commercial construction disputes. He is the author of a periodic newsletter “Sidebar” which focuses on ADR related issues and topics. Side Bar: Quarterly newsletter concerning alternative dispute resolution.